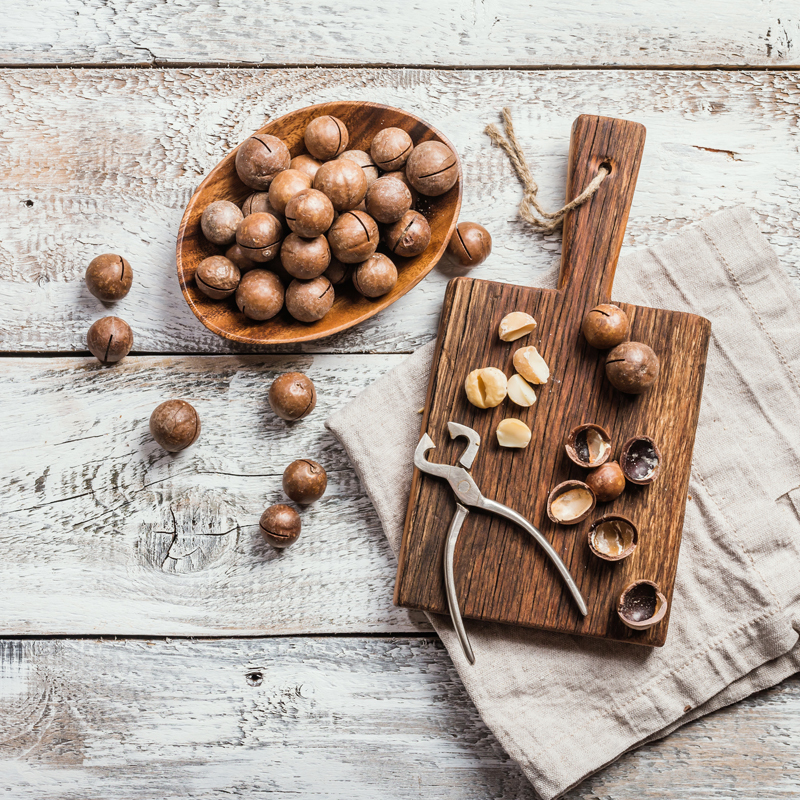 Crack the shell of the nut world with this brief exploration of 5 different types of nuts – from almonds to pine nuts – and where they come from. Rumour has it that nuts should get an entire rung of the food pyramid to themselves, with so much diversity in flavour, texture, colour and composition. And the one factor that ties them all together? They’re all delicious. In any collection, there is always a few odd ones out – and almonds are one of the most prevalent in the nut world. Why? Well, they’re not really nuts! They’re actually part of the stone fruit family – a pit or seed that grows in the middle of the fruit. But the flesh of the almond fruit isn’t delicious and meaty like a peach – instead, all the flavour sits in the kernel. Almonds are harvested when the fruits are ripe, naturally splitting open to reveal the almond seed inside. 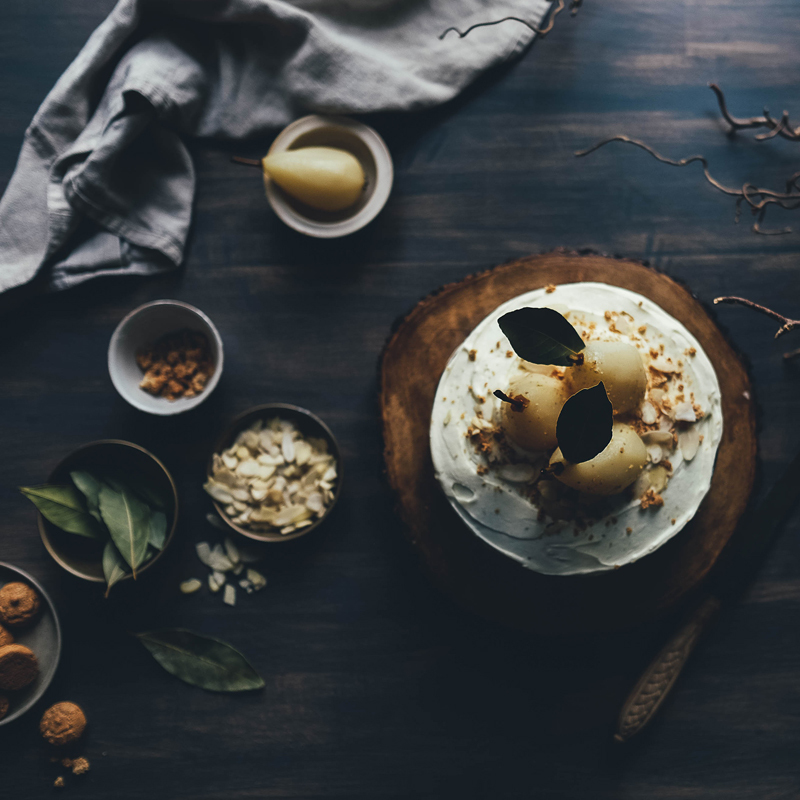 Once off the trees in Spain, California and Greece, they can be bought roasted, dry-roasted or raw, and the delicate but ever-present flavour profile is used in myriad savoury and sweet dishes – from marzipan, macaroons and almond flour cakes to delicious savoury crumbs and salads. Unlike the fruity almond, the hazelnut is a ‘true’ nut, which falls from hazel trees in North America, Europe and Asia when ripe. It has a hard outer shell and contains a seed with a thin brown skin, which is often removed before cooking. They’re a little more expensive and harder to come by in some parts of the world, but well worth the addition to your pantry, well-loved for their versatile uses. Hazelnuts are commonly included in confectionary, particularly when making praline for chocolate truffles. In fact, most people commonly associate hazelnuts with Nutella, a chocolate-tasting hazelnut spread. But don’t be fooled by the spoonfuls of sugar! Hazelnuts will make your savoury dishes go down a treat too. Yet another of our favourite crunchy delicacies is an imposter on the nut rung of the pyramid: the peanut is actually a bean or legume. But that doesn’t make it any less popular. Peanuts are used in a variety of savoury and sweet dishes – from satay sauces, smoothies, desserts and marinades to everyone’s favourite peanut butter sandwiches. Fun fact? Peanuts actually grow underground! They thrive in warmer climates, and are thought to have originated in South America. Now they’re grown all over the world, from Europe to Mexico, and provide an important source of nutrients in many developing countries. If you’ve never seen a cashew fruit, you haven’t lived! These strange apple-like delicacies grow in the warm climates of Africa, India, Vietnam and South America, and are thought to have first appeared in Brazil. And for every fleshy fruit, there is only one cashew seed, which is why they’re a little more expensive in the nut aisle at the grocery store. Cashews are creamy, soft and incredibly versatile in the kitchen. When soaked and blended, they make a delicious nutty cream – often used to make raw desserts and toppings. But they can also be eaten raw, tossed into salads and trail mixes, and added to your curries. Cashew fruits are even used to make jams and ciders in some parts of the world! 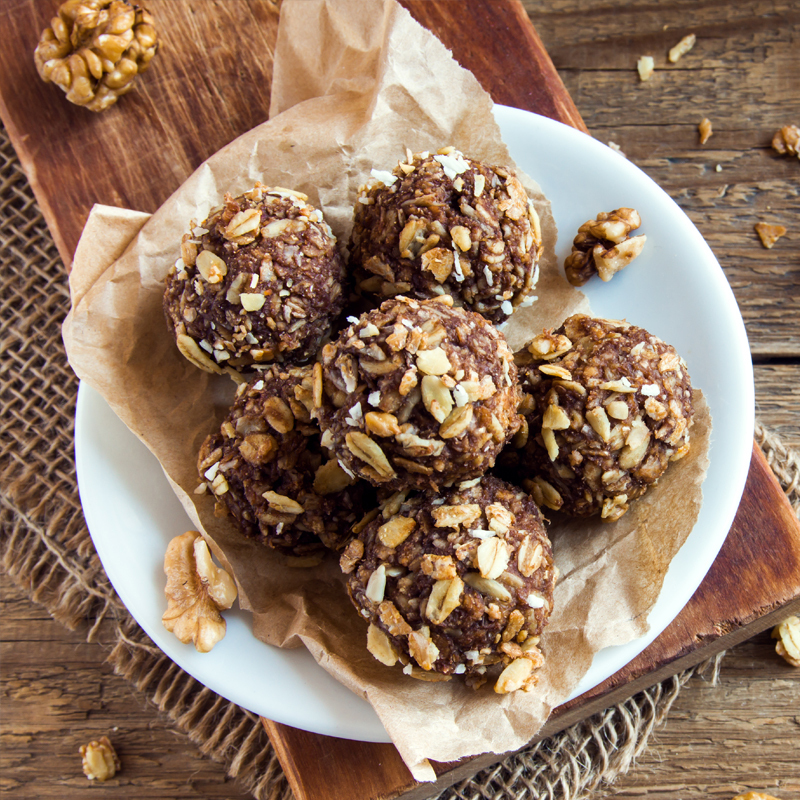 Pining for nutty flavours in your dishes? 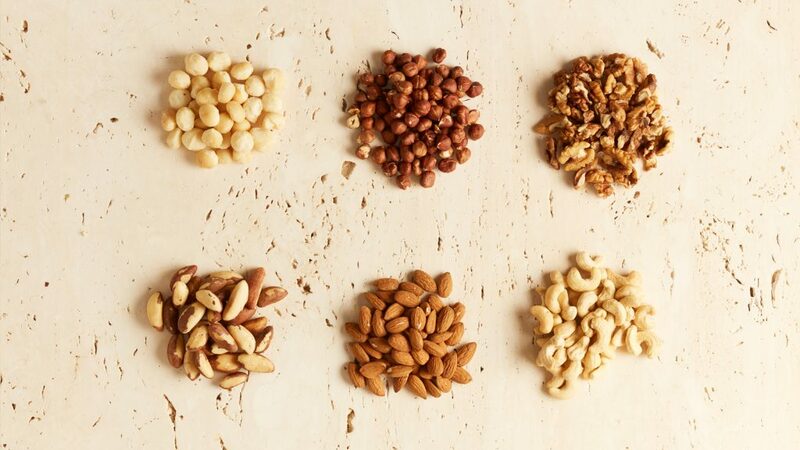 Pine nuts are always a great choice – boasting one of the strongest flavour profiles in the nut world. The small seeds are harvested from pine cones around the world and are packed with fibre and protein. They’re most famed for the flavour punch they provide in traditional Italian pesto recipes, but are also used in a variety of salads, toppings, desserts and baked dishes. You don’t need that many pine nuts to get the best out of their flavours either! Why not try the bold flavours in our caramelised carrots and pine nuts recipe?